Here at H&K Insurance, we offer comprehensive construction insurance packages for construction companies throughout Massachusetts and the greater New England area. We understand the specific coverage, risks, and liabilities that owning and operating a construction business entail, and make it out priority to ensure that you have complete coverage and properly managed risk. John R. Herlihy, your licensed Property & Casualty Producer, is here to keep your company and workers safe, and manage the unique risks and exposures of construction for your business. You can call him directly at 617-612-6521. 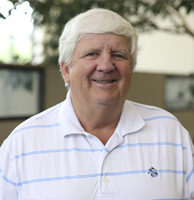 John Herlihy has served the H & K Insurance Agency Inc. clients since 1982. John, the Vice President, is engaged in all phases of the agency’s operations and management. He is dedicated to providing excellent service. John is a competent professional who prides himself on serving clients with their insurance needs.